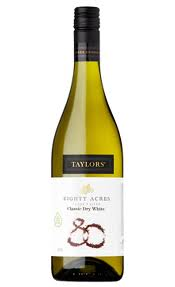 Following hot on the dregs at the bottom of the Yellowglen Spritz Chilled bottles, I bring you the Taylors range of wines review. First up, a warning of sorts. #1 Nana’s reviewing this week is completely and literally one-eyed. She’s just had minor surgery on one of her eyes, so I am going to fight the urge to refer to her as Yarrr me hearty or Ol’ One Eye, or threaten to make her walk the plank. I truly had to fight #1 Nana for this one. She is a confirmed fan of Classic Dry White’s. And I’m going to be a good daughter and not make any witty references to EIGHTY, DRY WHITE, and her. This smells divine. It’s possibly the first time I’ve poured a glass of wine and sniffed it before taking a swig (from bottle or glass or both). It’s crisp, it’s refreshing, but it’s not too dry. Just what I like. We had this bottle over a chicken Caesar salad for lunch. We even used real glasses, as opposed to our usual plastic faux glasses. It was perfect for lunch time consumption, and we were a little disappointed when we reached the bottom of the bottle. Sigh. 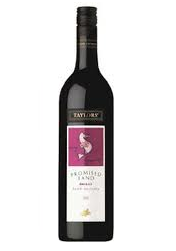 At $13.95RRP it’s great value, and should unexpected visitors show up* it’s good enough to share. If you’re that way inclined. Otherwise tell them you’re all out and serve up water, while claiming your drink is cordial or apple juice. I find Shiraz easier to drink than a Cab Sav or a Merlot. #1 Nana is a red wine lover above all else, so I seriously had to wrench the bottle out of her hands so I could be the first to sample it. It helped that I placed myself on her pirate-patch side, so she literally didn’t see me coming. “More” is all I got out of #1 Nana. While I’m more a white drinker, this red was nice and mild and went down all too easily. It became a competition to see who could covertly sip their wine quickest and get the next glass. I swear, if supposedly refined and ladylike wine guzzling drinking was an Olympic sport, #1 Nana and I would take Gold...which we would immediately have melted down into matching pairs of gold earrings. #1 Hubby walked in part way through and nearly had a tantrum that he wasn’t invited for the red wine tasting, since he too is a lover of red. #1 Nana helpfully picked up my PR information sheet and informed him that if he was to drive to the nearest bottle shop, he could pick up a bottle for $13.95RRP, which was convenient timing as we’d just about run out. Love her for that. I’m going to ensure she gets the bed next to the window when it comes time to ship her and #1 Pop off to a nursing home. And I’m going to make sure it has a mini-bar fridge for her ice cubes, and shelving under the bed to hide her wine. Another day, another wine. This one a bit more I’m going out / having people over, and I want something that says I made an effort without breaking the bank. Another divine smelling white. This one I opened while #1Nana was having a snooze, as I’m a bit of a Sav Blanc fan and wanted to ensure I got at least half the bottle for myself. I’m no wine aficionado (I know this comes as a shock to all of you), but this one reminded me of fruit. Tropical type fruits. So my brain was saying “good job on consuming fruit” while I was actually drinking wine. Win, win. When #1 Nana awoke from her Nana Nap (ho, ho) and got over her disgust and outrage at my having started without her, she was most agreeable. 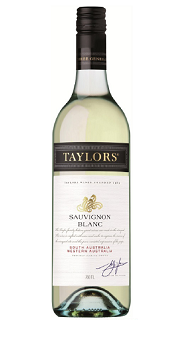 The Taylors Estate 2011 Sauvignon Blanc is available for $18.95RRP, excellent value for when you want that bottle that is around $20 and actually tastes good. And finally, on to the piece de resistance. This final wine is the “Look at me, I bought a bottle of wine to the party that cost over $20. That’s how much I like you and value your company”. I’ve actually gifted this wine to Daycare in the past. Such is my high opinion of it, I rely on it being impressive enough to keep me in the good graces of those who care for the Twin Tornado 1.5 days a week. So far, so good. It’s vintage just like #1 Nana, and is a combination of Margaret River and the Adelaide Hills. They blend well. I read that, but also I concur. One-eyed endorsement from #1Nana, in a roundabout way. Delicious. We left the empty bottle out on the table over dinner while we drank the cheap stuff we had in the cupboard – our own “House White” – and pretended we were still drinking the good stuff. 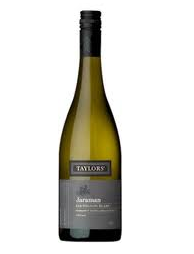 Taylors 2011 Jaraman Sauvignon Blanc is available for $24.95RRP, and if you’re inclined to buy me a gift for any occasion* this would be totally acceptable. 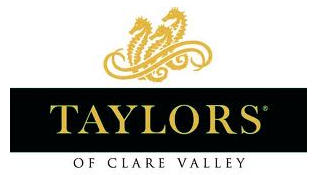 And so, to our final words on the week that was dedicated to Taylors wines. It’s definitely helping my eye recover. 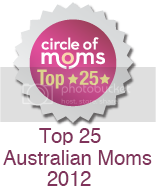 It will be making an appearance at the girls’ weekly Tuesday night drinks and spa party. Rock on and party like Britney, #1 Nana! I love wine. I love reasonably priced wine. It was a match made in heaven! But seriously, I'm not a wine expert who can tell you how it sat on my palette or what undertones it displayed. It tasted good, it isn't overpriced, and I'll definitely be buying it in future. Or, #1 Nana will be buying it and I'll be stealthly procuring it from her collection via 5-finger discount. Sadly, there endeth the wine reviews. It’s been the most fun I’ve had outside of a casino or swim up pool bar. Stay tuned for Wednesday’s review of Toby’s Estate’s Coffee and Tea products (which were tested extensively the morning after each wine review), with attached mega uber super giveaway of awesome! JEEZE! 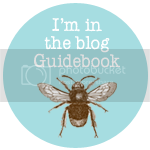 You get the best blogging gigs! How does one get in on the wine guzzling action? Can't think where anybody would get the impression that I consume enough wine to comment on it? On another note, how refreshing to pour for a week, as opposed to squeezing a nozzle.